I didn’t think this book would impact me as deeply as it did. 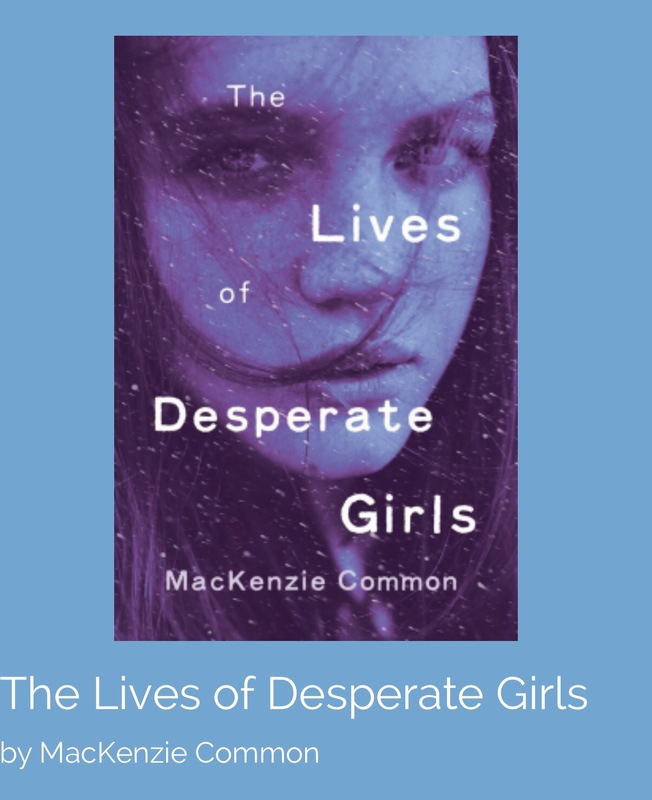 The Lives Of Desperate Girls by MacKenzie Common is a novel about friendship, love, trust and betrayal in a small Canadian town. Jenny is an inconspicuous teen whose life revolves around her childhood best friend Chloe. Chloe is the life of the party while Jenny is her quiet sidekick. Life is chugging along when one day Chloe goes missing. Jenny is determined to find her best friend. Three weeks after her disappearance there is a local murder of a different young woman. The crime is ugly, but it seems to Jenny that no one cares. This young woman was a Native. Is racism still alive and well? With the help of her new friend Tom, both he and Jenny go investigate what may have happened to Chloe, but to also, find out why the young Native woman was murdered. Jenny can’t understand why Chloe’s disappearance is considered top priority when a woman being found murdered gets pushed under the rug. If you enjoy suspenseful and deep storytelling I highly recommend this novel. I couldn’t put this book down, you want to just keep finding out what happened to Chloe. I was not aware of the racism that exists in Canada between whites and Natives before reading this novel. I received my e-book ARC of The Lives Of Desperate Girls for free care of NetGalley in exchange for my reaction to this book. My reaction is it’s a must read. I think this book would make great required high school and college reading.